This beautiful boat will remind you of holidays. A nice wall decoration for your child's room. Easy to hang over the bed of your child, so that he falls asleep peacefully. All you have to do is choose the melody. 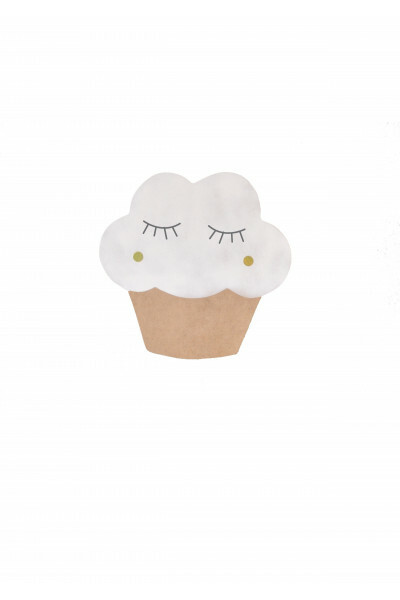 Here is a useful and decorative object for your children's room. 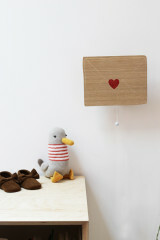 Hang it on the wall near the bed, this wooden music box will rock your child from a very young age. Growing up you can empower him by explaining how to activate itself the music. This wooden boat, is the result of three species of wood, we associated oak, poplar and cherry. The graphic aspect of this one is well marked and we love the result. It is a beautiful wooden decorative object that lovers of handmade will appreciate. Single lines are the trademark of the April Eleven brand. Music boxes for babies and children are usually wonderful birth or birthday gifts, decorative elements par excellence and beautiful objects of sweet poetry. 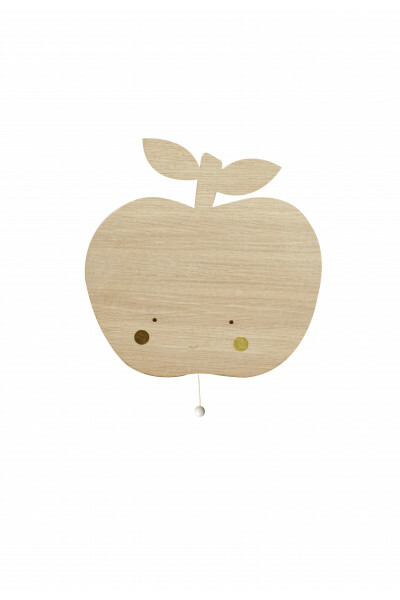 This beautiful object will bring your baby to sweet nights. An ergonomic rear slit ensures a secure and flat hold on the wall of your children's room.